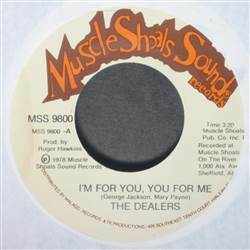 FUNK/SOUL, Muscle Shoals Sound, USA, 1978... I'm For You, You For Me, We Want To Get Through To You. Ashford & Simpson - Nobody Walks In L.A. 12" Valentinos - Somewhere There's A Girl / Lookin' For A Love 45 Sisters Love - Are You Lonely? / Ring Once 45 Andre Cymone - Make Me Wanna Dance 12"